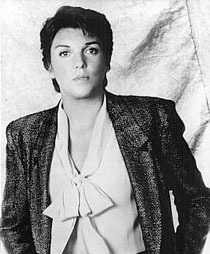 Tyne Daly's best known roles were as Mary Beth Lacey on the cop show Cagney & Lacey, Maxine Gray on the judicial drama Judging Amy, and as Clint Eastwood's unwelcome sidekick in The Enforcer, the third of five "Dirty Harry" movies. Cagney & Lacey was the first dramatic series on TV with two women in the leading roles, and Daly carried home four Emmys for her role as a gruff but lovable cop. She won a Tony for her Broadway revival of Gypsy in 1990, in the role of Mama Rose, earlier played on stage by Ethel Merman and Angela Lansbury. She also played a Quaker missionary in the short-lived TV drama, Christy. Daly is an outspoken feminist who revels in growing old, sometimes sending fans remarkably unflattering autographed photos. Daly comes from an acting family. Her father James Daly played the ancient doctor on the 1970's disease-of-the-week drama Medical Center. Her brother Timothy Daly played Joe Hackett on the 1990s sitcom Wings.